Aiden Nomura likes to open doors--especially using his skills as a hacker--to see what's hidden inside. He just keeps pulling until one cracks open, exposing the flaws. The universe--or someone else--will fix things. It's like a game...until it isn't. 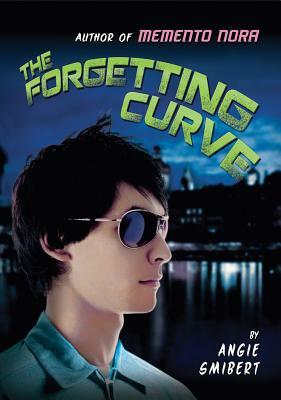 When a Therapeutic Forgetting Clinic opens in Bern, Switzerland, near Aiden's boarding school, he knows things are changing. Shortly after, bombs go off within quiet, safe Bern. Then Aiden learns that his cousin Winter, back in the States, has had a mental breakdown. He returns to the US immediately. But when he arrives home in Hamilton, Winter's mental state isn't the only thing that's different. The city is becoming even stricter, and an underground movement is growing. With the help of Winter's friend Velvet, Aiden slowly cracks open doors in this new world. But behind those doors are things Aiden doesn't want to see--things about his society, his city, even his own family. And this time Aiden may be the only one who can fix things...before someone else gets hurt.